I’m going to be posting every Thursday at 4pm. Starting last Thursday, I’ve finally, after much messing around with schedules decided on trying a new one. Not some complicated mess like last time, but also not the “one post a day” schedule that I maintained for a good two or more months. Some of the villagers had gathered with Yaska and Jan around the fire, anticipating the story from the outsider, Chloe. “My father told me it was long ago, I always assumed two or three thousand years. A star fell from the sky. It was unlike a dead shooting star. It was alive. It landed on the planet. The ancient people encountered it, and came to fear it. “The first person to find it was a great hero. When the star encountered the hero, it took on the hero’s image as its own. For the citizens, it was uncanny to see this false form. They accused the star of being a demon, and captured it out of fear. “The hero feared for the star. It would be charged will all forms of frivolity, and then ancient nation would decide to kill it. Standing around the star’s prison, and surrounded by his people, the hero took a risk in order to save the star. “The hero gave the star a hidden smile, and then ran away. Half of the ancient people pursued, and the other half hastened to free the person they thought to be their hero. The star was yet more cunning, it said, ‘I will chase down the imposter! Leave it to me!’ And it gave chase. The two heroes ran about the city, each claiming to be chasing the other. “The true hero stopped at his house to rest. He hid, and watched through his doorway. The city calmed. The star, seeing that the hero was missing, assured everyone that it was he that had chased the imposter out of the city. In truth, he was still himself in search. He walked around, fearful at the civilization before him, fearful that his impostering would be uncovered. “Finally, the star noticed the hero in his doorway. He beckoned. The star approached, and the hero pulled him in. Safe inside the house, the hero told the star to journey out of the city and return to his home. The star told him, ‘I need energy,’ so the hero fed him. The star said, ‘I need an energy different from this.” The hero was confused. He gave him drink. With this, the star left the city under the guise of the hero, and returned unto the skies. “They say that the star still looks down on the hero in thanks, and that the hero looks up in wonder. Supposedly, it’s the hero that passed this story down to his children, and to the next generation, and that’s why I can tell it to you,” Chloe finished. So, anyone who visited around December-January will recognise this story. I’ve been meaning to give it a stand alone version for a while. For those who don’t recognise it, it was embedded in a less polished story series, Starman. P.S. I know I’m “re-releasing” a lot of things, but actually, this is one of my goals. Not cheating my blog, but rather editing, a weakness of mine. P.P.S. Hey, this is short enough to qualify as flash fiction! Jason Arson walked across the rooftops. Most other people in his position may have run, but Jason was a punctual infiltrator. He was already ahead of his own schedule by fifteen minutes, and his schedule was set ahead by twice that much. Running would actually be detrimental, as the longer he stood in his hiding place, the more likely he was to be discovered. The only real downside to walking was that he had to push harder to jump from roof to roof, but Jason had strong legs, so he didn’t mind. He ran down an alley, thrusting his legs from wall to wall. He ran, losing a cubit of height with each step and hitting the ground right before running out of alley. Then, he walked out into the streets, entirely unassuming. Arson wore a brown trench coat, cut right above the knee. He preferred black, but brown would blend in better with the castle’s insides, as well as its inhabitants. Jason patted himself down, checking items off his mental list. Short sword? Left side, tied high on the waist. Spike launcher? He felt around. Also on the left side, above the sword. Truncheon? He knew he had that for sure, it kept knocking on his spine as he walked. Wallet? Jason tapped around his seven pockets. Nope, forgot the wallet. Hand pick? Yes! In a pocket! At least he had that. The last item was his ear-trumpet. The use of the trumpet had made him a laughing-stock, until it had allowed him to hear a vital piece of information that everyone else had missed. They stopped calling him ‘the deaf spy’ after that. The inside of the castle was extremely crowded, the walls browned with age. Jason quickly got lost. It is an infiltrator’s job to get lost. He quickly made his way to the second floor, and after making two lefts in the wide halls, he looked around for a haven where he could plan his next move. He found the door to a broom closet. According to the map he had been supplied with and subsequently memorized, Jason knew that this closet was only one wall over from the throne room. He looked around. So far, he hadn’t seen anyone on the second floor, and he guessed it was restricted from the public. This was both good and bad. It meant he was less likely to be caught, but it also meant that his presence would immediately draw suspicion. Jason tried the doorknob. Locked. He felt around for his picks, and then remembered that he didn’t have the wallet he kept them in. He was going to have to get creative. Jason casually launched himself back towards the staircase, sidling around the corner. Before turning it, he stopped. He could hear footsteps, but they were unusually paced, as if the person was stumbling continually. He rifled around his coat for the small ear-trumpet. Thu-thump, thu-thump. The sounds became louder and more distinct through the horn, but they still made no sense to him. He took a deep breath in, and then turned back from where he came. He tried every single door as he skulked down the hall. All were locked. He ran around the corner once more, and vainly tried the closet again. Nothing. He was farther from the footsteps now, so he took the extra time to feel around the walls for loose stones, maybe a hidden entrance. He again found nothing. He heard his oblivious pursuer getting closer. He didn’t have much time. Jason tried all the doors in the section of the hall. No. No. No. No. Yes. Wait, yes? He opened the door and saw that it was another staircase, but that this one went up. He closed the door and ran to the top. The door there unlocked as well. “Okay,” he whispered. Right as he opened the door, Jason heard the knob at the foot of the staircase turn. The odd footsteps had caught up. He rushed through the portal and closed it behind him, carefully turning the latch so that it clicked silently. The steps got even more unusual, as if they couldn’t understand the concept of stairs. Jason shuddered, but continued trying rooms, and continued to be denied entry. Jason was getting nervous now; he was running out of options. He noticed that the rooms on this floor were labelled. He grabbed the one titled “supply door” and to his relief, it opened. Jason entered and slammed the door as silently as his nerves would allow. Minutes went by, and the footsteps became audible once more. He listened as they passed and then turned the corner. In an act of poor judgement, Jason opened the closet door and looked around the corner of the hallway to see what kind of creature had been following him. He saw a short woman. She had tanned skin, and thick sun bleached hair. She was a child! She was skipping down the halls! Jason receded back into his closet He took his face in his hands and pulled downward. He lamented the idea that he had been genuinely fearful of a prancing youth. Jason sighed and returned to his task. He hadn’t memorized the third floor, so he felt around, hoping he had his map. Its presence in his coat surprised him. He quietly unrolled and read it. The throne room was two storeys tall, which meant that he could probably listen in from this closet, if he dug into the edge of the floor diagonally. Jason Arson took the hand-pick out of his pocket and started at the mortar by his feet. Within twenty minutes he had removed many of the smaller stones from behind the outer brickwork. He worked his way around a wooden support beam, and then broke through into another room. He stopped digging, pulled the debris inward, and then peered inside. It was the target, the throne room. He could see the King’s wife milling about and talking to someone who he recognised. His mind began to wander into memories. He cleared his head. The King arrived. Jason lay face down on the ground, pressed himself against the wall, and readied his ear-trumpet. This is an edited re-release of the story fragment that was recently removed from the site. I figured that the story that was contained on the page might be worth keeping posted. Also, my editing game is getting up there. Pretty happy about it. Can You make a Living as a Writer? In a long continuance of poverty, and long habits of dissipation, it cannot be expected that any character should be exactly uniform. There is a degree of want by which the freedom of agency is almost destroyed; and long association with fortuitous companions will at last relax the strictness of truth, and abate the fervour of sincerity. There was a long period of time when I categorized creative writing as a job, like any other. As I grew up though, it became more and more obvious that this simply was not the case. They don’t work steady hours, they often work from home, or at the very least not out of an office. They often take years, or fractions of years, to put out content. Really, you could have a lot of fun with this line. Writers often don’t get published. They’re often rejected many times first if they actually are published. It’s a flooded market, because everyone thinks it’s easy to write a novel. Even if you do manage to push out 50 000 words or more, it’s not easy to make them any good. And even if they are good, good isn’t good enough, especially for a publisher. Especially for the market. Especially for history. What was I getting at? Right. So you put out a book. Does it even sell well? Maybe you put out another? I read that it took one writer eight novels to start making a livable income. The more I learned about it, the less likely it seemed that someone anyone was about to list “writer” as their occupation. It’s just so unlikely. It wasn’t until nearly a year ago that I realized that there’s a split in books. It’s going to seem really obvious when I say it, but I’m really good at not noticing obvious things so I’ll lay it out for you. Number 3 on Amazon on release! 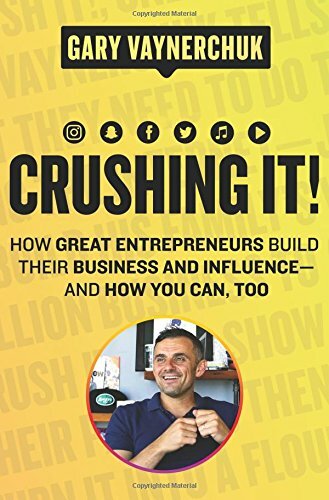 I had been listening to Gary Vaynerchuk for a long time. Eventually I had gotten his entire message down, and he was starting to get repetitive. (Gary, for those of you who don’t know, is marketing entrepreneur who sells the “work hard” message, and talks about how it’s way easier to “make it” now that the internet exists.) I got his first book, Crush It! : Why NOW Is the Time to Cash In on Your Passion on audible, and I listened to it at work. It’s a pretty compelling title, right? The book essentially encapsulates on how to execute on the idea of what is now known as “influencer marketing.” You make a blog, or a youtube channel, or something. Then you become an expert on a topic. Then you just put out content as frequently as you can and build an audience. Apparently it works, because he’s released an updated book on the same thing complete with success stories. Back to the split. I decided, hey, I can do that. Thus, this blog was started. It wasn’t too long later that I started to realize what I was doing wasn’t the same kind of thing as other influencer blogs were. I’m not talking about anything. I don’t have a specialty. I don’t really have a “brand.” I’m not influencing anyone on anything, not really. I just write stories. Unless I build an audience, nobody’s going to advertise on that, and advertising revenue is kind of the whole thing. It’s hard enough to build a financially successful blog, but building a financially successful fiction blog is essentially unheard of. To be honest, I don’t know much about fiction blogs. I don’t think you can monetize them in the same way as informational blogs (no affiliate ability, products you can create are limited), so I can’t be of much help. I’m sorry! — An email reply to my question of how to monetise. Non-fiction is a lot easier to sell than fiction, and as far as I can tell, this extends out of blogs and into books. It’s a lot easier to get a non-fiction book published and have it actually make money. People seek information and solutions to problems a lot more than they seek stories. Those who read for pleasure are a minority; even if you give it away for free, as I and a few other bloggers do. The man who managed to make it into the canon with an unfinished book was the first person who tipped me off. For whatever reason, I remember Geoffrey Chaucer being introduced in class as a banker. but this was two years ago, so, looking at my chart, it seems that I mixed that up. 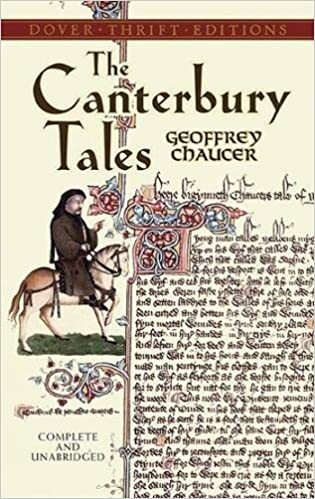 Chaucer was a bureaucrat and diplomat, and he “audited and kept books on the export taxes, which were one of the Crown’s main sources of revenue” (Greenblat 189). I guess he did do something with money. So, once you realize that people, even the people you learn about in academia, are working as well as writing, you start to think. At least I did. I started to notice more of them here and there. Although, I didn’t much pay much attention to it. Not until this year, when I was researching Poe. Edgar Allen Poe managed to scrape his gothic self into two separate courses of mine this year. And, looking into him a bit, I learned that “Poe was the first American writer, as Alexander Pope had been the first in England, to support himself entirely by his writing” (Mayers 138). This quote is kind of cool, because it shows that in two separate countries, making a living writing was unusual… for centuries. Continuing with Poe, however, it seems that even after he “made it,” he continued to struggle financially. A young author, struggling with Despair itself in the shape of a ghastly poverty, which has no alleviation — no sympathy from an every-day world, that cannot understand his necessities, and that would pretend not to understand them if it comprehended them ever so well — this young author is politely requested to compose an article, for which he will “be handsomely paid.” Enraptured, he neglects perhaps for a month the sole employment which affords him the chance of a livelihood, and having starved through the month (he and his family) completes at length the month of starvation and the article, and despatches the latter (with a broad hint about the former) to the pursy “editor” and bottle-nosed “proprietor” who has condescended to honor him (the poor devil) with his patronage. A month (starving still), and no reply. … At the expiration of six additional months, personal application is made at the “editor’s” and “proprietor’s” office. Call again. The poor devil goes out, and does not fail to call again. Still call again; — and call again is the word for three or four months more. His patience exhausted, the article is demanded. No — he can’t have it (the truth is, it was too good to be given up so easily) — “it is in print,” and “contributions of this character are never paid for (it is a role we have) under six months after publication. Call in six months after the issue of your affair, and your money is ready for you — for we are business men, ourselves — prompt” (Poe). Poe struggled because editors avoided paying him, and because of a lack of international copyright law. Publishers and magazines could literally just steal works from other countries like Britain, instead of paying the American for his stories. As far as I know, neither of these issues exist anymore. At least, I hope not. 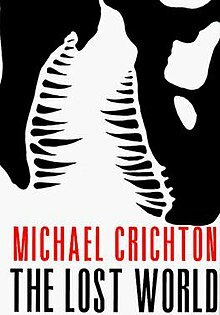 Cricton got an MD from Harvard before switching to writing. A lot of the great writers had jobs… in fact, if my quote has any weight to it, all writers born before the eighteenth century in England, and the nineteenth in the United States had jobs. For me that means a couple of things. The first is that writing “on the side” is normal. The second is that, even (especially?) if you happen to be extremely artistic, writing anywhere except on the side mightn’t ever factor in. While I was researching for this, I found a an entire Wikipedia (again) page on physicians who write. I’m not sure why this is a thing, but it’s common enough to have its own page. Mental Floss also did an article on it. So, why not go be a doctor like your parents (may have) wanted you to? Make a six figure income and write in your fancy home during your off hours. Ahah. There isn’t enough money to go around… sort of. According to Price’s law, half of all scientific contributions are made by the square root of the total number of scientific contributors: thus, if there are 100 scientists within a given discipline, just 10 of them will account for 50 percent of all publications. 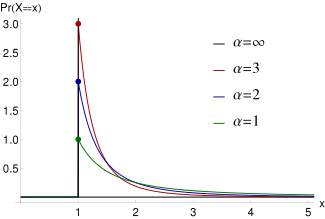 The Price’s law describes unequal distribution of productivity in most domains of creativity (Gorny, emphasis mine). The bigger you are, the more people recognise you. The more people recognise you, the more people buy your books. The more people buy your books, the bigger you get. The more people want to publish you. The more stores shelf your book. It’s a vicious cycle, and it’s present in the novelling, and almost any other market. Most of us aren’t recognised at the top, in fact most writers probably aren’t making anything. There’s probably a large amount that are just writing for fun. Those that are making a living wage are what I like to call the exceptions. Writers like J.K. Rowling, Stephen King, and Agatha Christie are the exceptions. Especially Christie. If you want a good example of an exception to the rule, look no further than the woman competing in sales numbers with William Shakespeare! From what I can tell, which isn’t much, it seems to me that there are two ways to actually make money writing. The first is to write a lot of things that are interesting to read. They don’t have to be particularly good, in fact being literary slows you down. Get rid of all that and just write a ton. That’s clearly what Christie did. One of the things that stabbed out of the page at me while reading Harry Potter was the unimpressive and sometimes just plain bad prose. Apparently King isn’t much better. But really, writing in this fashion clearly works if you have the content to make up for it. There’s another group that manages to get by with fairly simple writing, the occasional grammar error, and lots of releases. It’s the indie publishers. Self publishinh directly to ebooks and cranking out two or three novels a year, these people are on a mission, and it’s paying off. Royalties are lower, if not non-existent if you indie publish, and because it’s digital you don’t even have to pay for printed books. But, the breakneck speed at which you have to release to make a living seems to cut into their quality. I’m not sure. This is actually sort of an awful article, it spells out how almost exactly how unlikely it is that anyone will make a living writing. It’s the last thing I wanted to hear, that’s why it took a strong three years for me to come around and face it. But, I kind of cheated when I did. Anyway, my first point was that even a lot of the great writers from the canon also did other things, and that’s where I “cheated.” It’s unlikely that you or I will make a living writing. It’s unlikely that anyone will make a living writing. Especially if you want to take the time to put out something of literary quality. So the cheat is that… that’s normal. You don’t have to worry about it, or stress about how you’re going to do it. I mean, feel free to try, just be careful that you don’t fall into the dead prose of mass fiction… or do, whatever works. As for me, I’m going to try what Margret Atwood did. (Although, I’m not a huge fan of Atwood, she definitely both made it, and is good enough that I read her work in university.) That is, get a “real job” and hope for the best after that. I think it beats being a starving artist working a minimum wage job anyway. And being educated certainly doesn’t hurt writing quality. I did a post a while back on theme. That might interest you. Greenblatt, editor. The Norton anthology of English literature. Ninth ed., vol. 1 2, W.W. Norton, 2013. Meyers, Jeffrey. Edgar Allan Poe: his life and legacy. Cooper Square Press, 2000. Wikipedia. “Western canon.” Wikipedia, Wikimedia Foundation, 9 Feb. 2018, en.wikipedia.org/wiki/Western_canon. Please check out my most recent work of fiction, Mariça.